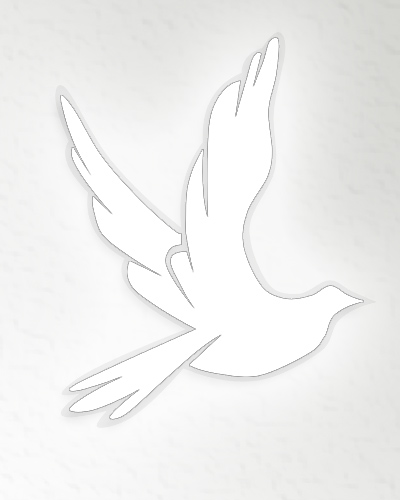 Obituary for Lillian Joyce Pendarvis | Bryant Funeral Home, Inc. Surrounded by her family, Lillian Joyce Pendarvis, widow of Robert “Sonny’ Pendarvis, joined loved ones in her heavenly home on Wednesday, August 22, 2018. Funeral Services will be held 2:00 PM Saturday, August 25, 2018 at the Indian Field United Methodist Church with the Reverend John Williams officiating. Burial will follow in the church cemetery. Pallbearers will be George Brown, Edward Langworthy, Josh Fredlake, Clifford Byars, Douglas Pendarvis and Jeffrey Collins. Honorary Pallbearers will be Miles Green, Walter Wagers, James Infinger, James Jackson, Jr. and members of the Christian Fellowship Sunday School Class. Visitation will be Friday evening from 6:00-8:00 PM at Bryant Funeral Home, St. George. Lillian was born on February 12, 1932, in St. George, a daughter of the late May Bell Crawford. She attended Harleyville Public Schools, graduated from St. George High School was a supervisor with Carolina Girls Wear and managed Allieds Department Store and then Citi Trends. She was a devoted member of Indian Field United Methodist Church. She was a member of the Christian Fellowship Sunday School Class, WSCS, and the Country Living Group. She was the former Children’s Sunday School teacher, who touched the lives of many youth in the church. She will be dearly missed and remembered by all who knew her. She dearly loved her family, her church family, and enjoyed spending time with friends. She was a true strong Southern Lady. Special thank you to the St. George Health Care Center, Rogers Wing Angels for their help, love and support. Surviving are her two daughters, Elaine M. Green and Brenda P. Crosby, both of Harleyville; grandchildren, Lavan Green, Troy (Katie) Crosby, Tracy (George) Brown, Shelly (Josh) Fredlake, Joy (Edward) Langworthy; great-grandchildren, Alexander Brown, Lukas Crosby, Lily Fredlake, Clara Fredlake, Joshua Fredlake, Anna Weatherford, Adam Langworthy and Jared Langworthy; cousins, Clifford Byars and Beverly Stroble; former son-in-law, Miles Green; and, several nieces and nephews. Memorials may be made to Indian Field United Methodist Church, 2030 Highway 15 North, St. George, SC 29477.